Mahom has never stopped moving forward since 2005! 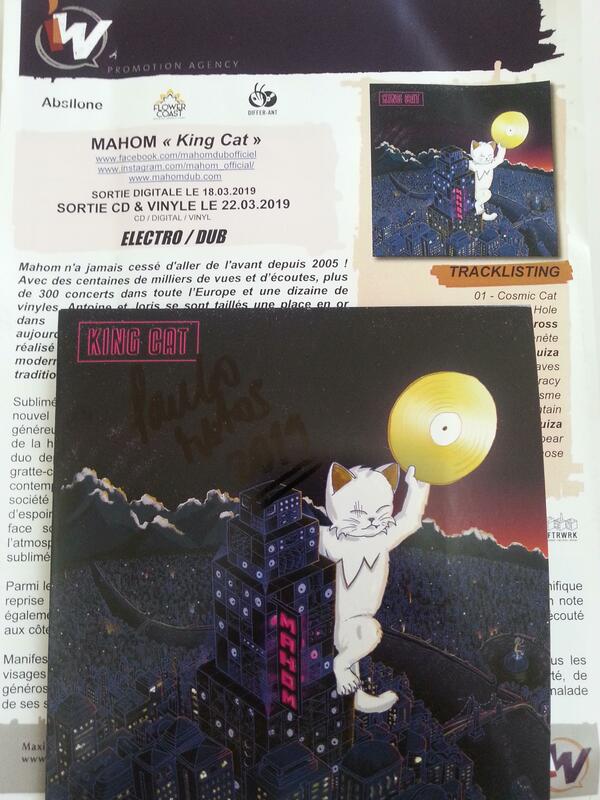 With hundreds of thousands of views and plays, more than 300 concerts all over Europe and a dozen vinyls, Antoine and Joris have carved out a place in gold in the landscape of the French Dub that today confirms the release of "King Cat", fifth album made with the precious help of Panda Dub. A modern and electro record that constantly flirts with the traditional codes of the genre. Sublimated by the artwork of Irie Design, the twelve tracks of this new album sign the strong return of the duet. 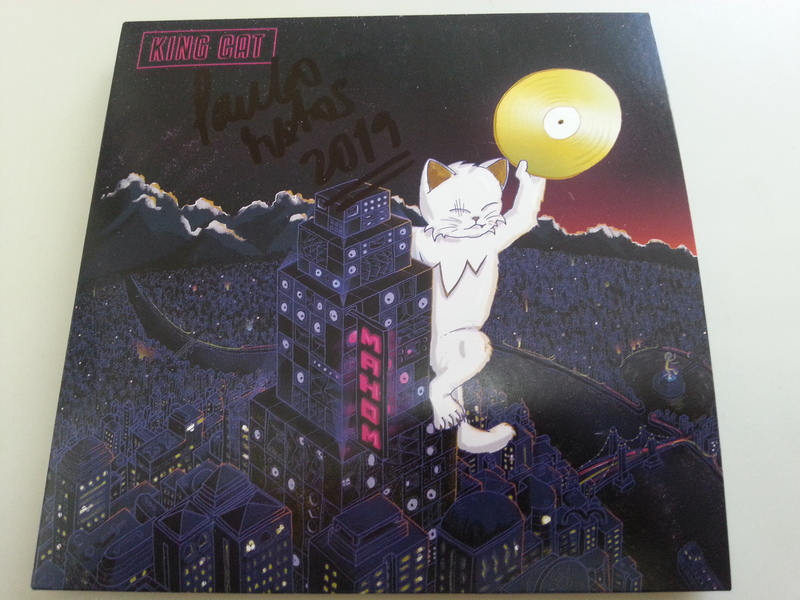 Simple, generous, demanding and federating, his story is growing and gaining height, like the Maneki-neko, the cat so dear to the duo since the album "The Skankin 'Cat". 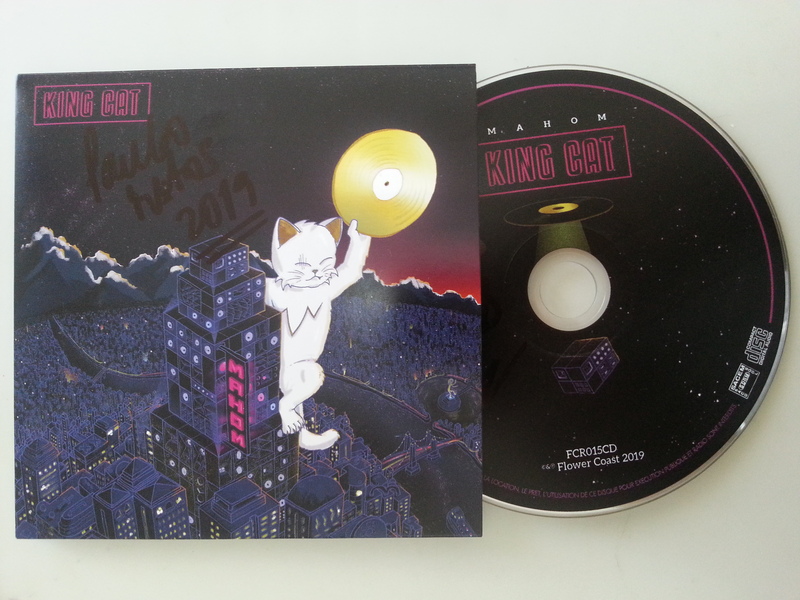 At the top of the skyscrapers, in the heart of an urban and contemporary universe, "King Cat" speaks of the pessimistic destiny of a society in full philosophical upheaval, but also of hope, life, love. It makes us lean sometimes towards the dark side of the dub stepper, then towards the hovering and the atmospheric, a subtle alchemy and a real maturity sublimated by the artistic direction of Panda Dub. Among the guests, the sublime voice of Luiza, met during the tour, delivers us a magnificent cover of Françoise Hardy (The Time of Love) and a rebound stepper (Snowball). Finally, we also note the participation of MC Green Cross (on the terrible Digital Badness), we have already listened alongside Ondubground or Biga Ranx. 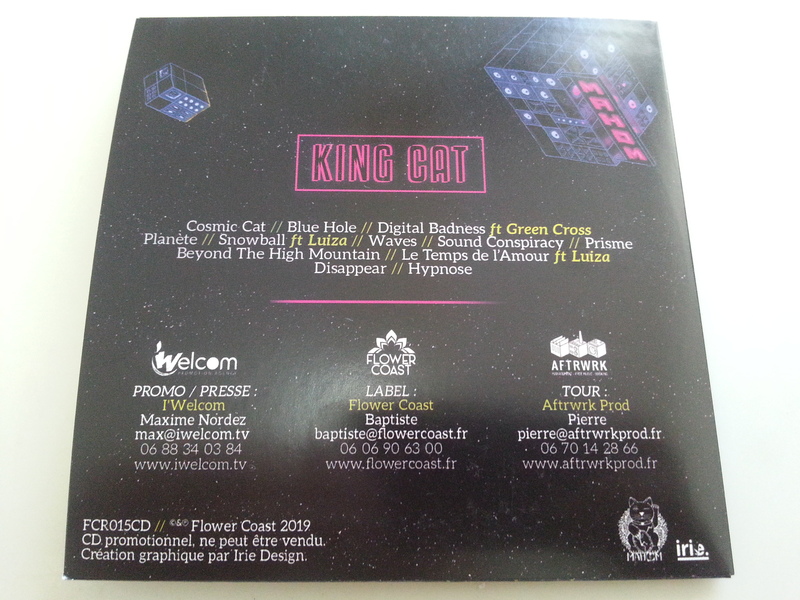 Ambient and militant manifesto, major pillar in the building of Mahom, "King Cat" celebrates all the faces of the Dub. Three little letters that deliver a universal message of love, freedom, generosity. Virtues to cultivate hard in the heart of a difficult daily and full of challenges, sick of his loneliness but before all rich in its differences.